The Heritage Black Bay first debuted at Basel World 2012. Many collectors were quick to notice that the Black Bay included many iconic features of past Tudor dive watches, such as Tudor’s iconic Snowflake hands and rose “Big Crown”. Intended as a celebration of Tudor’s incredible dive watch history, the Heritage Black Bay is quickly gaining a following of its own in the short time since coming to market. Today, we will take a closer look at one of the newest, and perhaps most exciting additions yet to the Heritage Black Bay line, the all-steel reference 79730. The Black Bay 79730 stands out for a handful of reasons. While many aspects of the original Heritage Black Bay remain, such as a dial topped with lume, snowflake hands, a unidirectional bezel, and a waterproof case; the newest reference 79730 offers a distinct style. 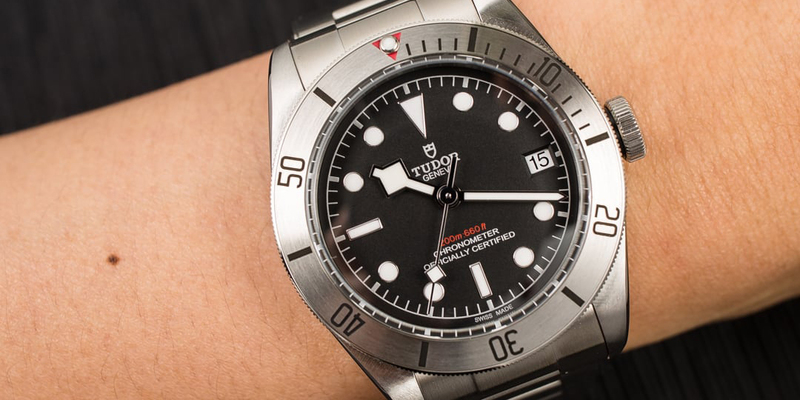 Most notably is the addition of a satin-brushed stainless steel bezel, a feature that is new to the Tudor Black Bay. When paired with the stainless steel 41mm case and riveted bracelet, the all-steel Black Bay 79730 provides a style that is unique to the growing Black Bay family while paying homage to other traditional Tudor diving watches. In addition to being the first all-steel reference, the mens Tudor 79730 was also the first Black Bay timepiece to offer a date aperture on its dial. This feature is displayed at the 3-hour marker and complements the dial with modest proportions. The date function is built into the new Tudor manufactured Calibre MT5612 movement along with a frequency of 28,800 bph and a 70-hour power reserve. The calibre MT5612 also carries a COSC certification, ensuring a precise reading. The Tudor Black Bay 79730 is a watch that fits perfectly on any wrist. The all-steel variation of the Tudor Heritage Black Bay will appeal to a wide range of collectors, thanks to its versatile and tough design. While it’s made for adventures far below the surface of the sea, the Black Bay also attracts buyers that seek a masculine, everyday sports reference. In today’s market, the all-steel Black Bay 79730 also has no problem getting dressed up in a black tux for formal events. As Rolex’s sister company, Tudor has long been the watch of choice for collectors who seek quality Rolex craftsmanship at a lower price point. In fact, many Tudor watches draw inspiration from their parent company as seen in the general style of many Tudor timepieces. 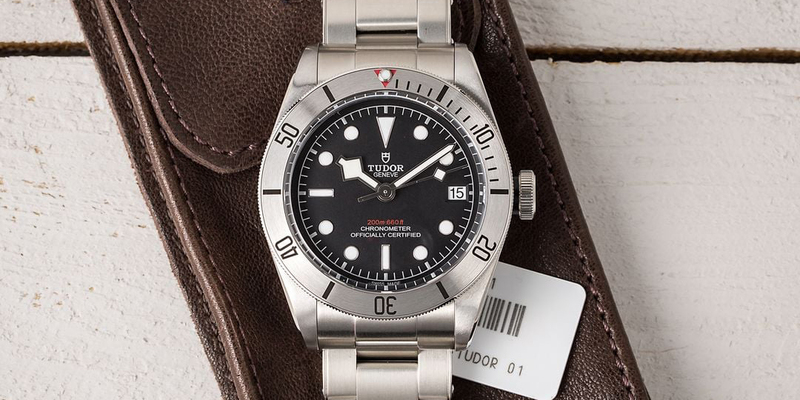 But in recent years, Tudor has begun to create their own unique style, and thus a higher demand with the release of several notable sports references including the Tudor Heritage Black Bay 79730. As Tudor gradually steps out of Rolex’s shadow, one important aspect that remains is its attractive price tag.